You’ve heard so many warnings, and you’ve heard reassurances from your doctor: there’s some sort of link between caffeine and bad pregnancy outcomes, but a little is probably okay, right? First of all, scientists are divided on the issue (see the references below). Some studies show a link, and some studies suggest there isn’t one. The question is whether caffeine is a fetal toxin. Does it cause harm to developing organisms? This would explain why it is possible to find a link between high caffeine intake and bad outcomes like miscarriage and even stillbirth. The answer from the scientific literature would be: we don’t know. So maybe there’s an intelligent way to read the studies, using what we know about the human body. 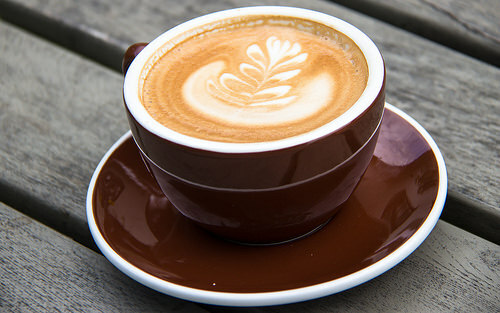 In our bodies, caffeine is broken down by our enzymes. Everything is broken down by these detoxification enzymes: medications, environmental poisons, components of food (like caffeine) and substances that we make ourselves (like hormones). Nothing can stick around the body forever. There is a system for breaking it down and moving it out into urine, feces or sweat. The enzymes that help us detoxify are proteins. They are made by our cells, using our DNA as a template. However, DNA is a little variable between people, so some of us have more efficient enzymes than others. Also, these enzymes usually need helpers (called co-factors), which are usually vitamins and minerals. In one study, the authors set out to find whether it was true that these enzymes help us make caffeine harmless. They found out that caffeine is broken down in one of three possible pathways, each one dependent on a different enzyme. Women who had a less efficient version of all three of these enzymes, and also drank more coffee, did in fact have a higher risk of stillbirth. It might not even be caffeine. Coffee drinking might be a way to detect women who aren’t terribly careful about a whole bunch of environmental exposures. Maybe they also eat non-organic food, or use too much makeup. If you have slow detoxification enzymes, any environmental toxin could become harmful. So the answer to whether a pregnant woman can drink caffeinated drinks (which include “decaf” coffee, as you probably know) is that it depends on what type of enzymes she has, and maybe how much caffeine she is using, and most certainly on how careful she is about the rest of the toxins in her environment. It also depends on whether she has proper levels of several nutrients. That’s a much smarter way to do medicine than to say “it’s probably okay” and hope for the best. In fact one of the most striking scientific articles to be published on the subject just came out this past February, pointing out to obstetricians that they should be counseling their patients on how to avoid environmental toxins. Your choices are avoidance and improved detoxification. For a list of habits that help you make the best of the genes you already have, read “The 10 Habits of the Master Detoxifier”. • Caffeine intake during pregnancy, late miscarriage and stillbirth. • Stillbirth and slow metabolizers of caffeine: comparison by genotypes. • Teratogen update: evaluation of the reproductive and developmental risks of caffeine. • Environmental exposures: how to counsel preconception and prenatal patients in the clinical setting. A very special thing happens during pregnancy that can be hard to undo later on in the baby’s life: genes get activated or deactivated in a way that can have long lasting effects. While the baby’s genes are determined by what is inherited from mom and dad, whether these genes are turned on or off depends on the conditions the baby encounters during gestation. We understand that food is more than just calories. Food contains nutrients, such as carbohydrates, protein and fats. It contains vitamins, minerals and phytonutrients. But that’s not all. We know that environmental influences can turn genes on and off. In fact they are the most important determinant of which genes get expressed in the baby. Humans, above all, must be adaptable, and this is how this is accomplished. The foods a pregnant woman chooses to nourish herself with have a great influence on the development of her baby. Food is information for our genes, and it speaks even louder to the genes of the fetus. Food is building blocks. The amount of protein one takes in matters because it will be broken down into amino acids and eventually reconstructed into body parts, neurotransmitters, immune system communication substances, antibodies and hormones. The type of fat we eat determines what gets incorporated into every single cell in our bodies. Omega-3 fats work best in the cell membrane, but a balance is needed overall. Food provides the bacteria we need to make up a healthy gut flora, but also healthy vaginal flora. Baby will hopefully be born through the vaginal canal and gain some of these bacteria from the moment of birth. Bacteria are so plentiful in our intestines that they have crucial roles to play, directing our immune system, making vitamins, and helping detoxify environmental poisons. A recent study even found that certain soil bacteria direct our brain cells to make more serotonin—in other words, playing in the dirt makes us happy. Fiber from high fiber foods feeds bacteria. Since we depend on them for so much, we can’t afford to starve them. Food can help reduce inflammation. Certain foods unfortunately disturb the immune system and make it more likely that it will overreact to a number of challenges. For example, omega-6 fatty acids present in large quantities in factory-farmed animals worsen inflammation. This is also true of most “man-made” substances—artificial flavors and colors, food additives, pesticides and industrial chemicals—the body apparently sees them as threatening and prepares to mount an immune response. On the other hand, certain foods calm down inflammation: omega-3 fatty acids, berries, ginger, green tea, cinnamon and turmeric. Food can help us detoxify. Plants contain substances (phytonutrients) that speed up certain enzymes the body uses to break down environmental chemicals. We need to eat mostly plants, as Michael Pollan would say, to help us be rid of chemicals that might otherwise cause trouble with our biochemistry. In utero, exposure to a number of common household toxins can cause problems with neurodevelopment, with tendency for obesity and diabetes and with immune system function. These substances include BPA, lead and mercury, flame retardants, non-stick coatings, solvents, exhaust and pesticides. We can’t avoid the fact that our world is saturated with these chemicals. While we do try to avoid them, we can also make sure our bodies eliminate them efficiently, every day as they come in. Food should fight oxidation within the body. Antioxidants include many phytonutrients and vitamins such as vitamin C, E and substances made by your body when provided with the right mix of amino acids and sulfur compounds from cruciferous vegetables such as broccoli, kale, arugula and cauliflower. Certain food tastes apparently make it into the amniotic fluid and are swallowed by the baby, and research has shown that babies come to prefer the foods that were familiar during pregnancy. Certain hormones with a crucial influence in the outcome of pregnancy are also regulated by the foods we choose to eat. This is especially true for insulin. We know that when a pregnant woman’s body cannot make enough insulin to keep blood glucose under control, she is diagnosed with gestational diabetes. Every woman is tested for this at 28 weeks of pregnancy because women are more prone to diabetes during pregnancy. If left untreated, elevated blood glucose levels, transmitted through the placenta, cause the baby to put out too much insulin, which for the baby, acts like a growth hormone. Babies then grow bigger than they would have been, which is not a good thing in this case. However, there is a more subtle effect of this as well, that isn’t detected by the tests we presently use during pregnancy. Certain foods rich in sugar or in starchy carbohydrates can cause the mother to put out more insulin than is good for either the mom or baby. Elevated glucose levels are not the only thing that can cause the baby to grow too big. Elevated insulin levels will also have that effect to some degree. Thus many pregnant women need to limit their intake of starchy carbohydrates, sweetened drinks and also juice. They need to learn to balance a meal so that protein, fat and carbs are present in reasonable ratios. Vitamin K2 is important for facial development and for bone strength. Without it, the calcium might not end up knowing exactly where to go. Unfortunately it is hard to obtain, because it is made when animals feed on green grass and our factory farmed animals can’t make any. You have to look for gouda cheese, Japanese natto, or grassfed butter and whole milk, or supplements. The mother’s iron stores are very important and will participate in the baby’s neurodevelopment. Folate is usually supplemented ideally prior to pregnancy. This is because it is needed for proper neural tube development, which happens very early in pregnancy, often before a woman knows she is pregnant. Standard prenatal vitamins contain the form called “folic acid”, but many are preferring the form called “methylfolate”. Choline supplementation during pregnancy has been shown to improve baby’s neurodevelopment. Iodine is deficient in about 40% of pregnant women, yet it also is very important in neurodevelopment. Iodine deficiency is very hard to diagnose. The mineral is found in algae and in supplements. The challenge is to adopt a diet that is as healthy as possible without becoming so stressed out about it that you undo all the benefits! 1. The morning smoothie: you can put a lot of good things in there, such as frozen berries, some protein powder preferably from whey, chia seeds or ground flaxseed, and a green leafy vegetable such as kale or arugula. 3. A salad for lunch, perhaps with beans, or chicken, olive oil, garlic and nuts or fruit, and most of all, a variety of colorful vegetables. 5. A stir fry dinner with more colorful vegetables, sweet potato, quinoa, and protein such as salmon, sardines, grass-fed beef or a soy product, preferably fermented soy. Eat less of foods that aren’t full of nutrients, such as bread, pasta, rice, crackers, chips, and prefer colorful, unprocessed, nutrient-dense foods. Eat foods that you could easily prepare yourself from simple ingredients. It is also easier this way to choose organic foods and bypass the artificial or harmful ingredients you wish to avoid. Chances are that you will feel so much more energetic that you will prefer to eat this way, in preparation for pregnancy, during and after!